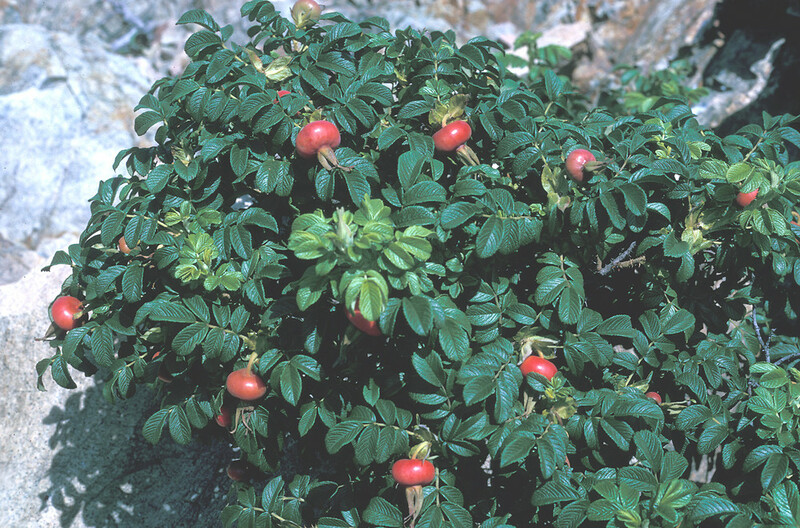 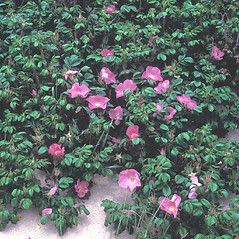 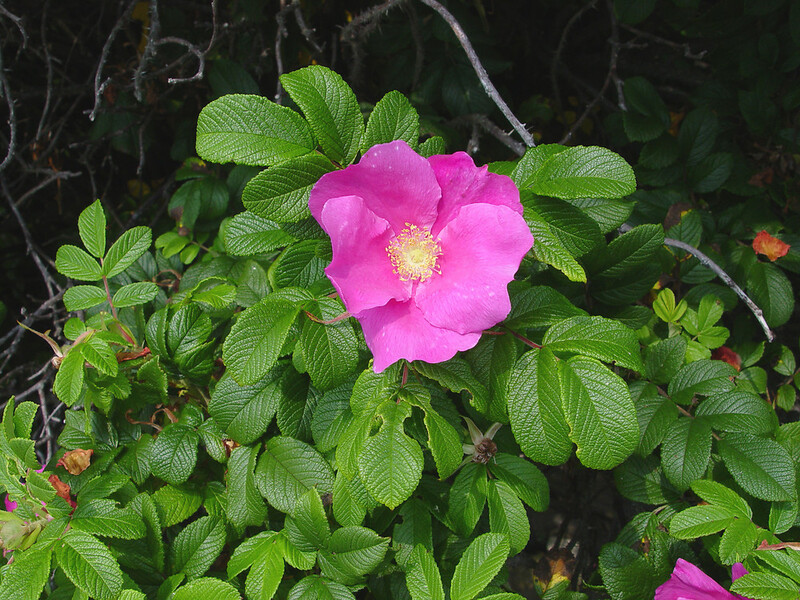 Rugosa rose is notable for its rough (rugose) and leathery leaves, which conserve water well in its dry habitats of coastal dunes. 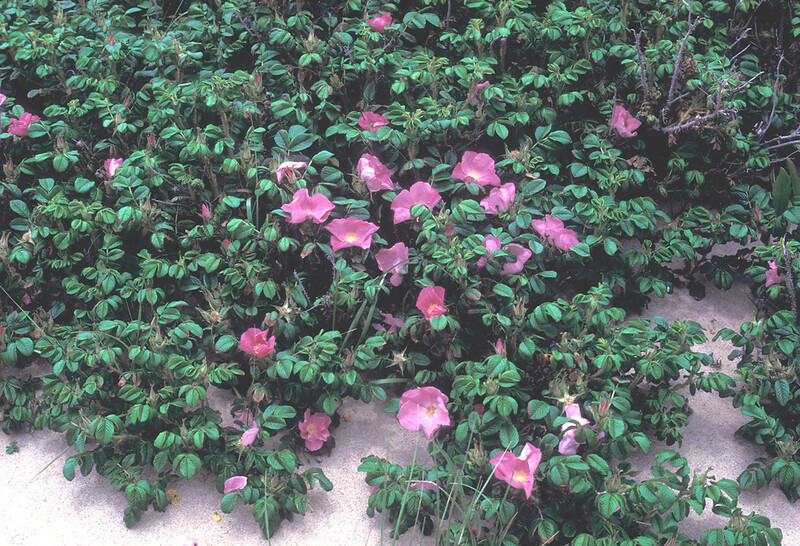 It forms dense swards with masses of pink or white flowers that appear in mid-summer; sometimes the flowers have double-corollas. 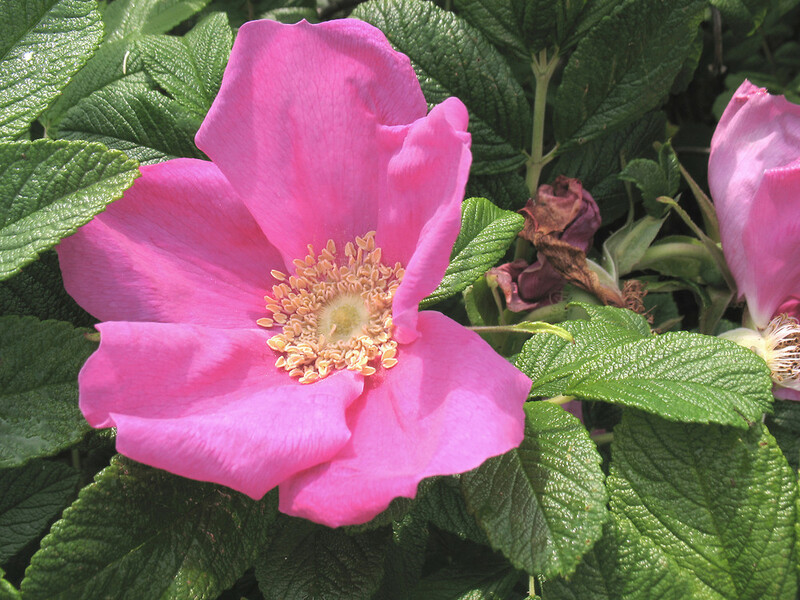 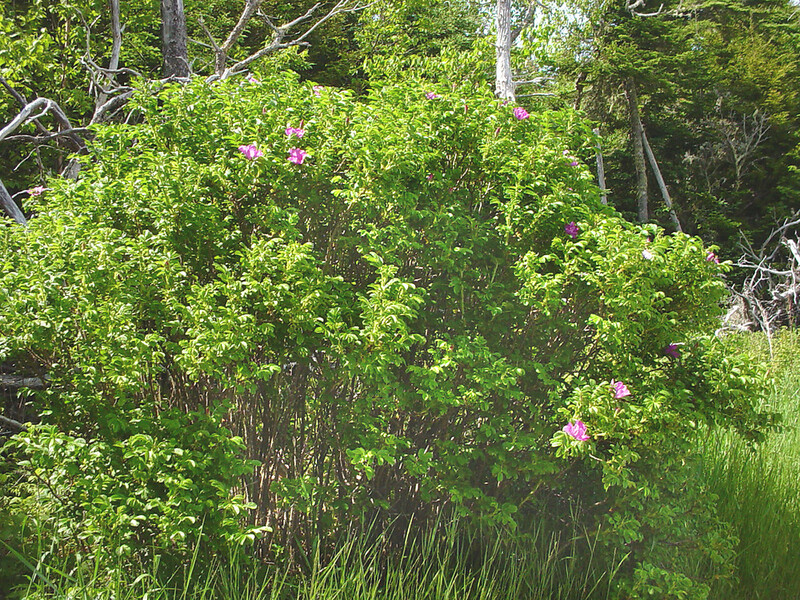 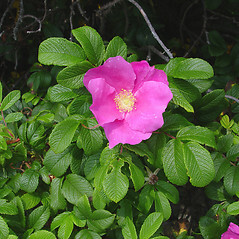 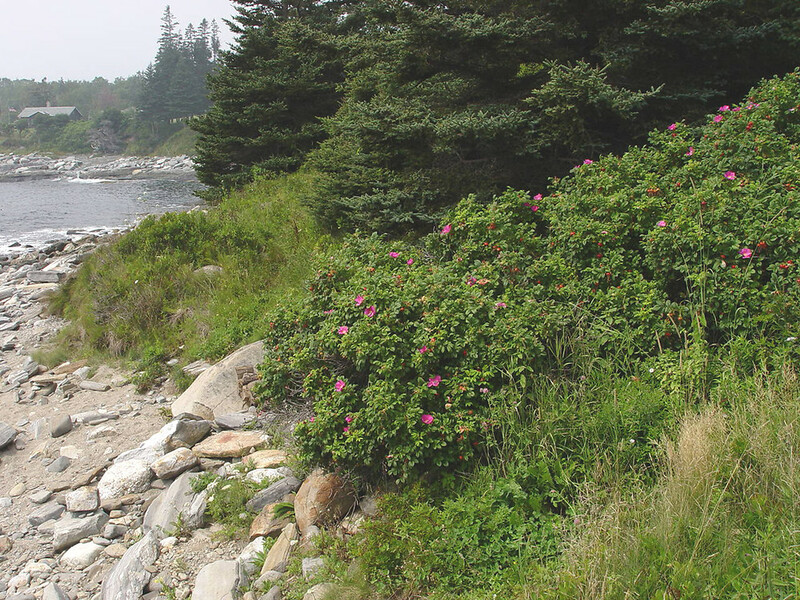 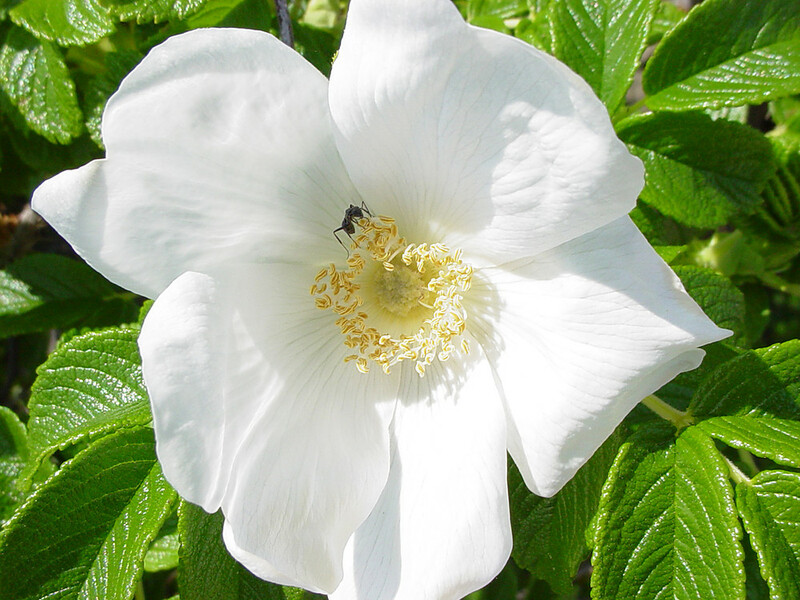 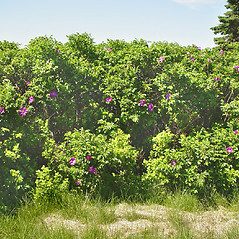 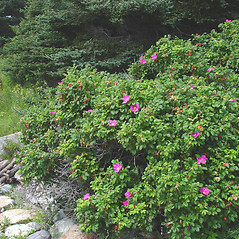 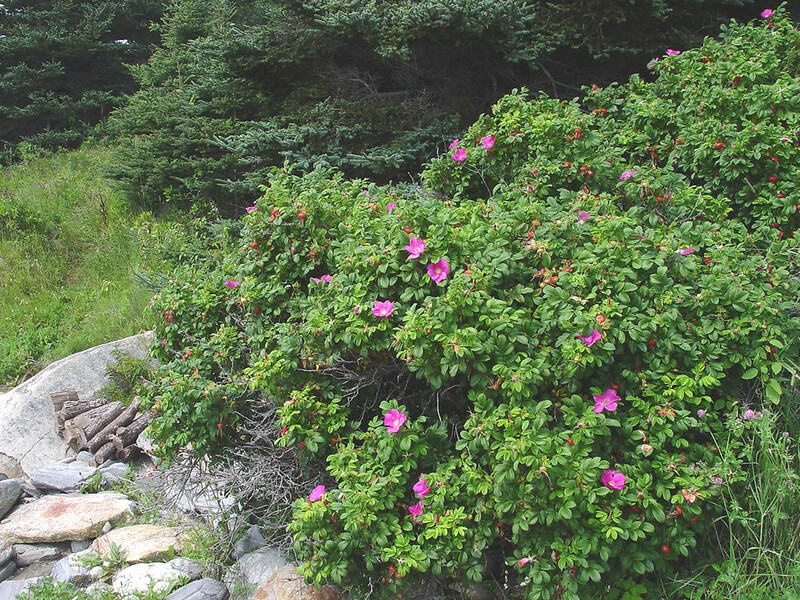 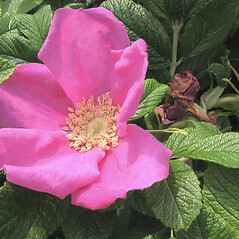 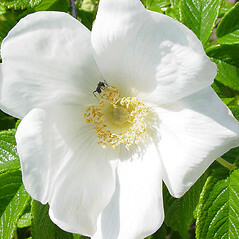 Although rugosa rose is regarded as a common feature of New England's beaches, it actually was introduced to the region in the 1770's from Asia. 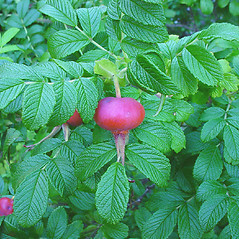 It disperses by means of its hips (fruits) which float or are carried by mammals. 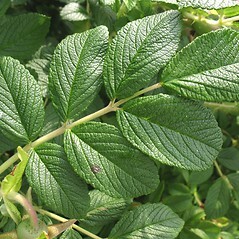 It is regarded as potentially invasive in the state of Connecticut. 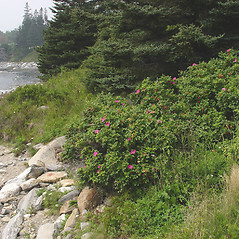 beach rose. 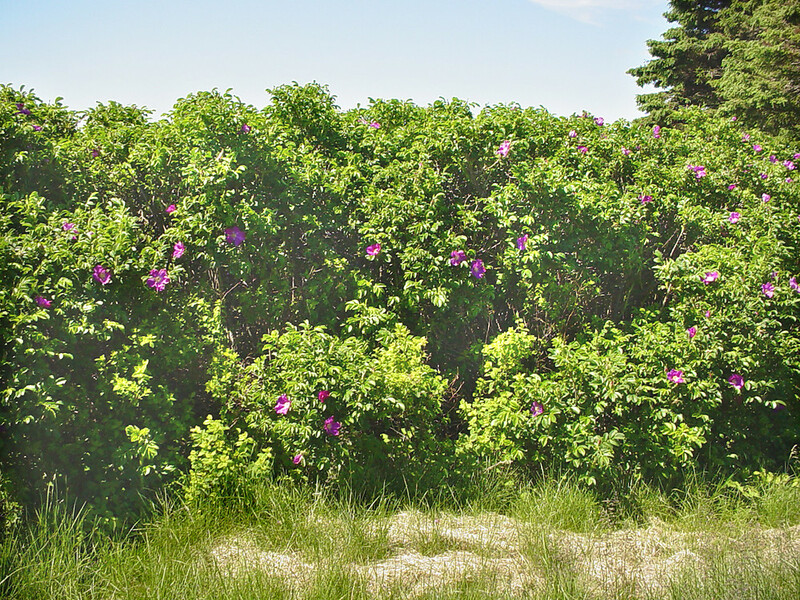 CT, MA, ME, NH, RI, VT. Atlantic coast beaches and strands, dunes, roadsides. 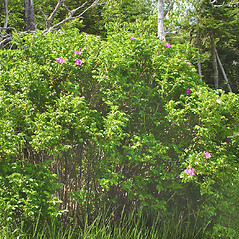 This species shows single and double corollas in New England. 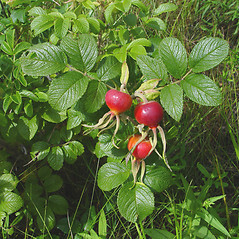 16×?. 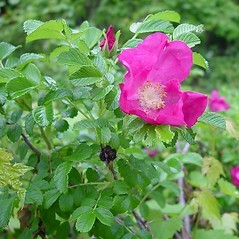 This very rare rose hybrid is known from VT. 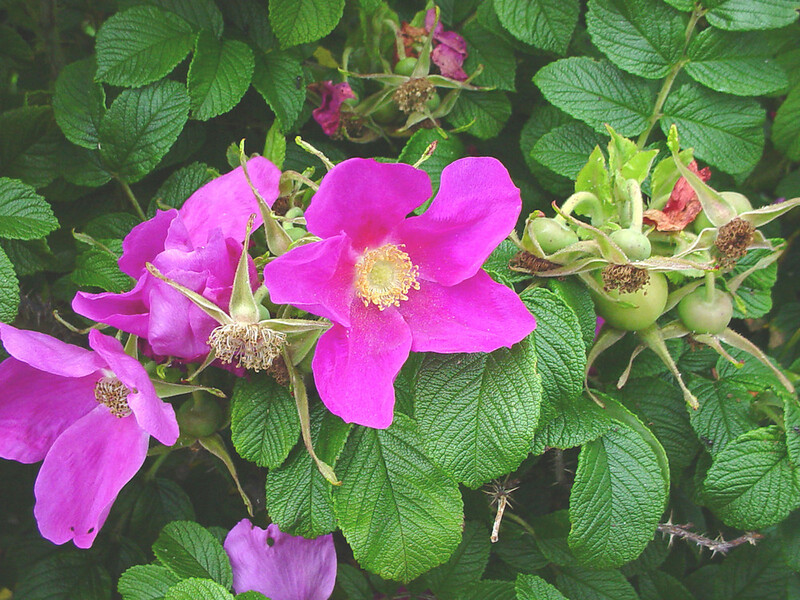 It is commonly referred to as Rosa‘Hollandica’ in horticultural literature. 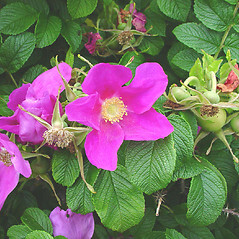 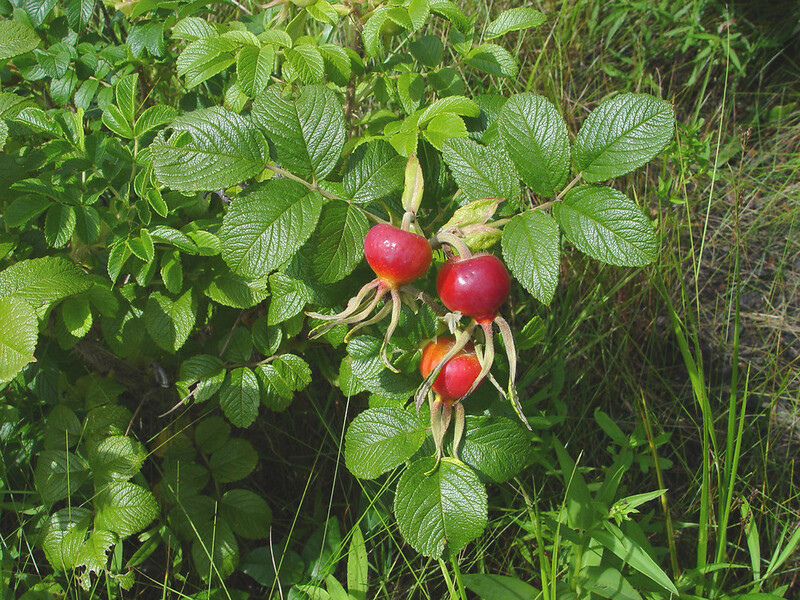 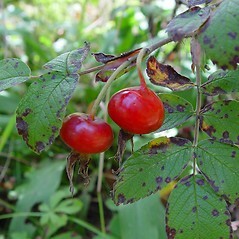 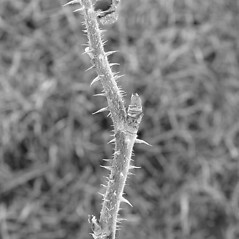 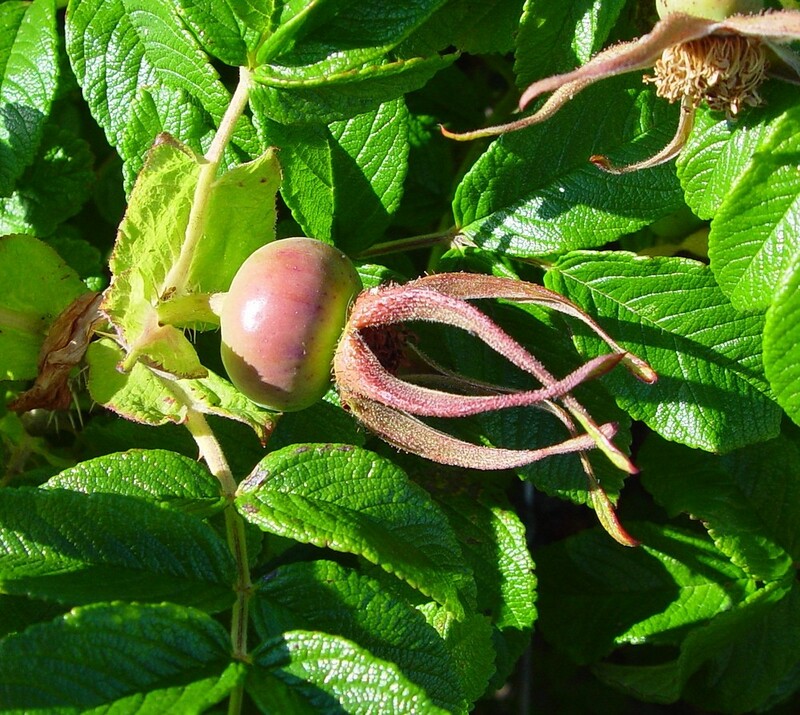 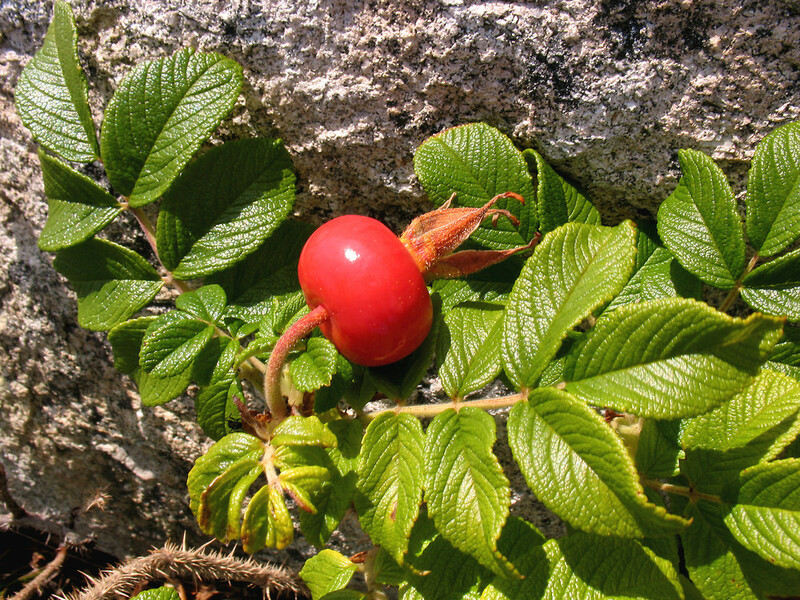 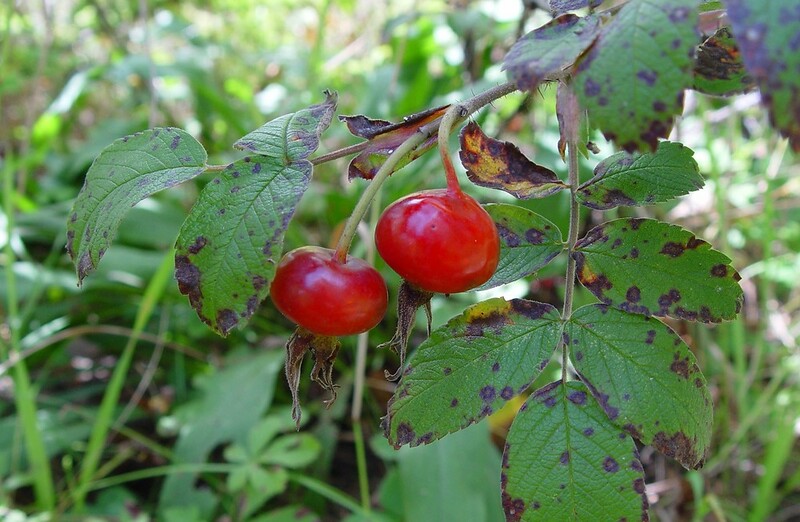 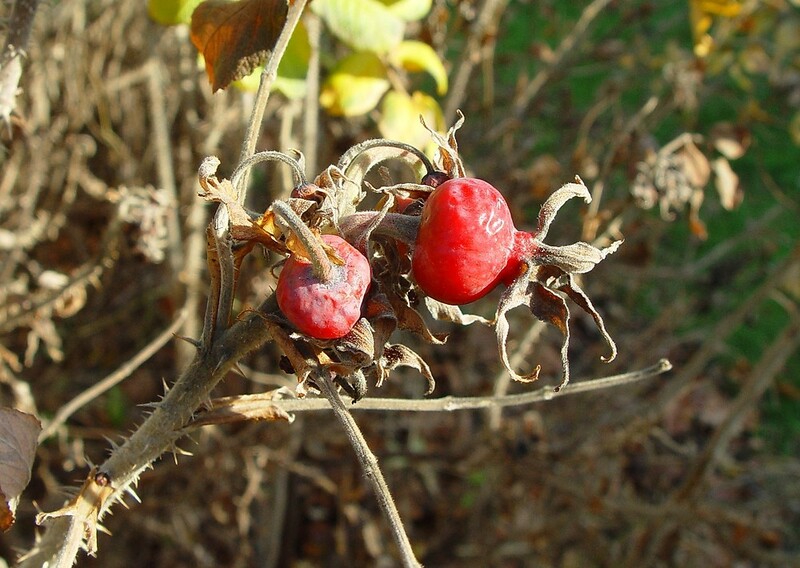 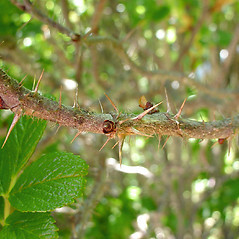 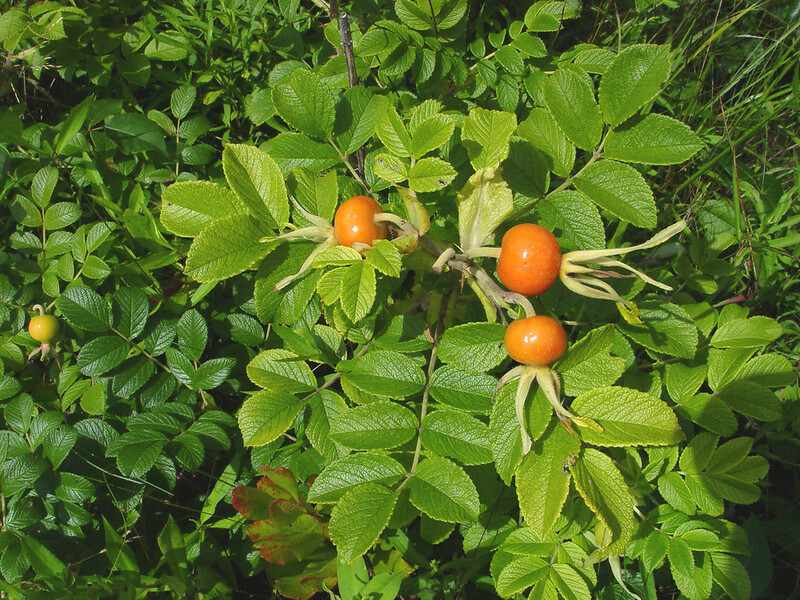 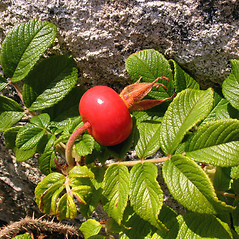 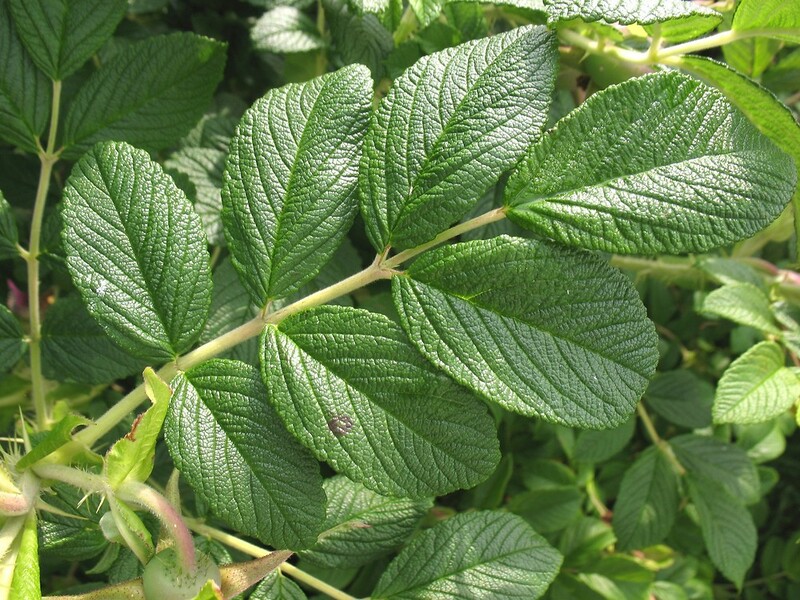 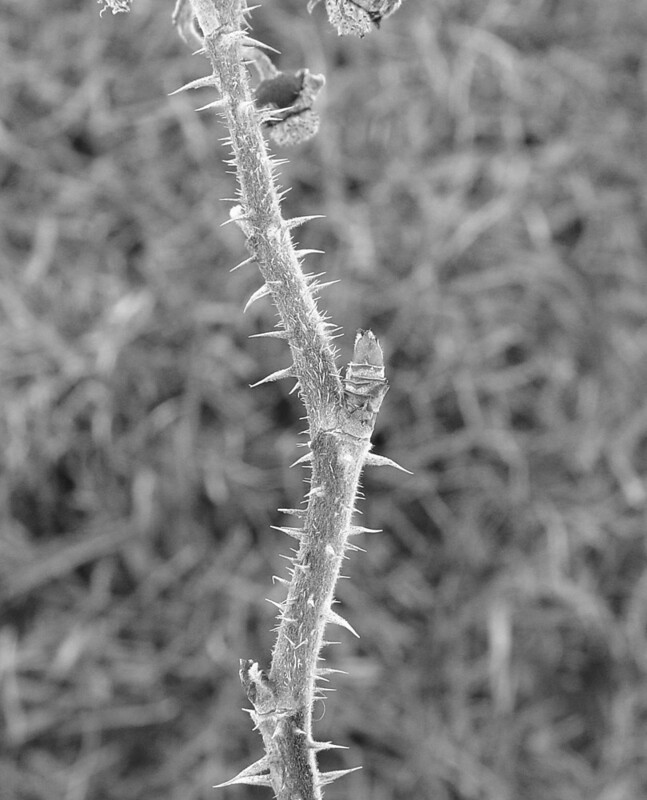 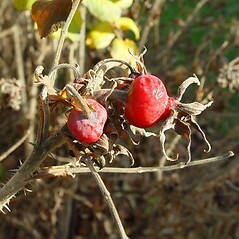 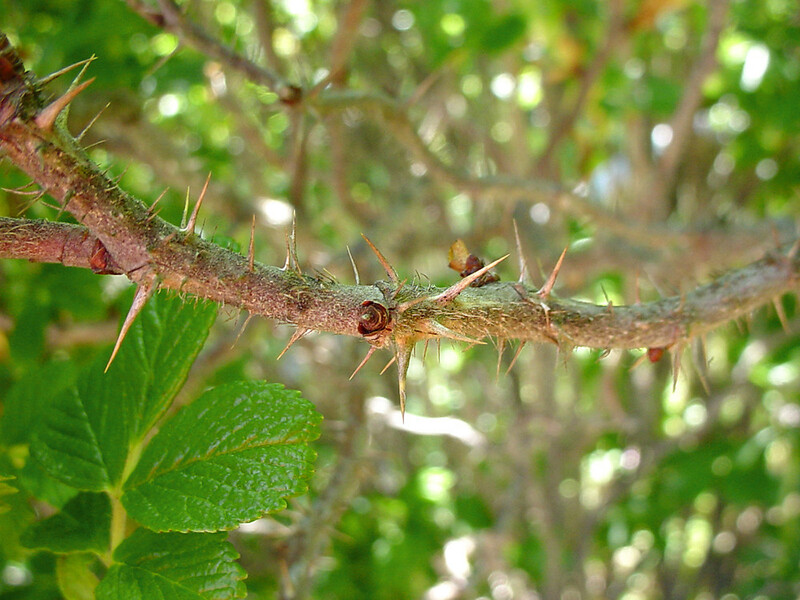 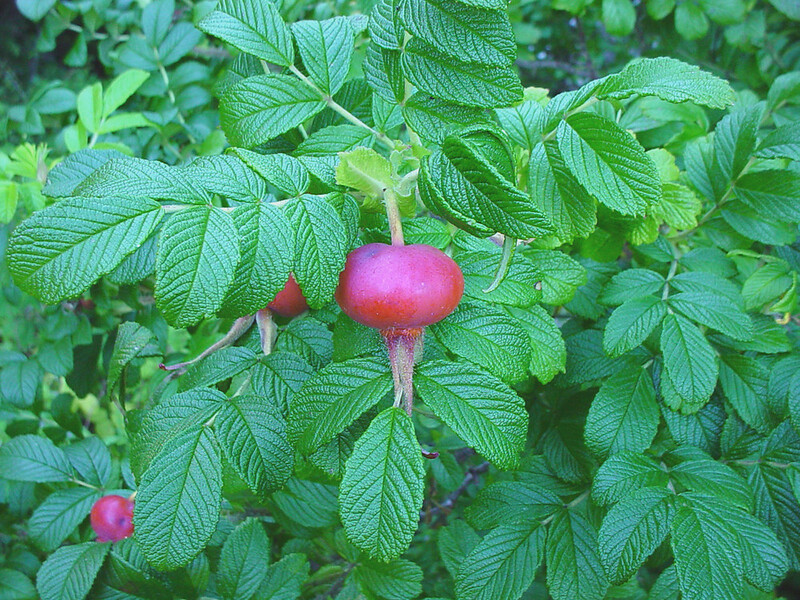 It is similar to Rosa rugosa in having the larger prickles pubescent and numerous small glands on the abaxial leaf surface. 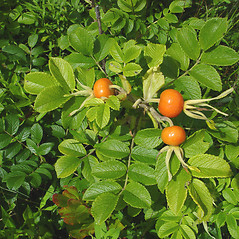 It differs from that species in its lighter green, less rugose leaflets, straight or weakly curved fruiting pedicels, ascending fruiting sepals, and hips 8–15 (–20) mm in diameter (vs. dark green and prominently rugose leaflets, curved fruiting pedicels, erect fruiting sepals, and hips 20–25 mm in diameter in R. rugosa). 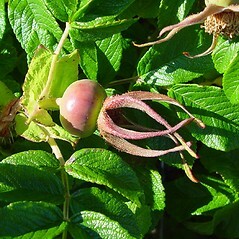 The other parent of this rose is unknown, but study suggests it may be R. davurica Pall., R. luciae, or R. multiflora (Mikanagi et al. 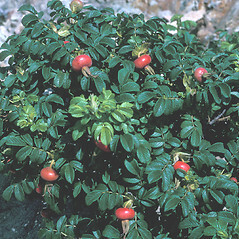 1994).